This annual tradition is back! Enjoy delicious Japanese cuisine, including manju, sushi, chow mein and bento boxes. There will be plenty of home made pies, cookies and squares. Our dining room allows you to eat in or take out. There will also be plenty of items for sale including Collectibles, Giftware, Jewellery, Japanese Kitchen Wares, Books, a Garage Sale and much more. Interested in volunteering? 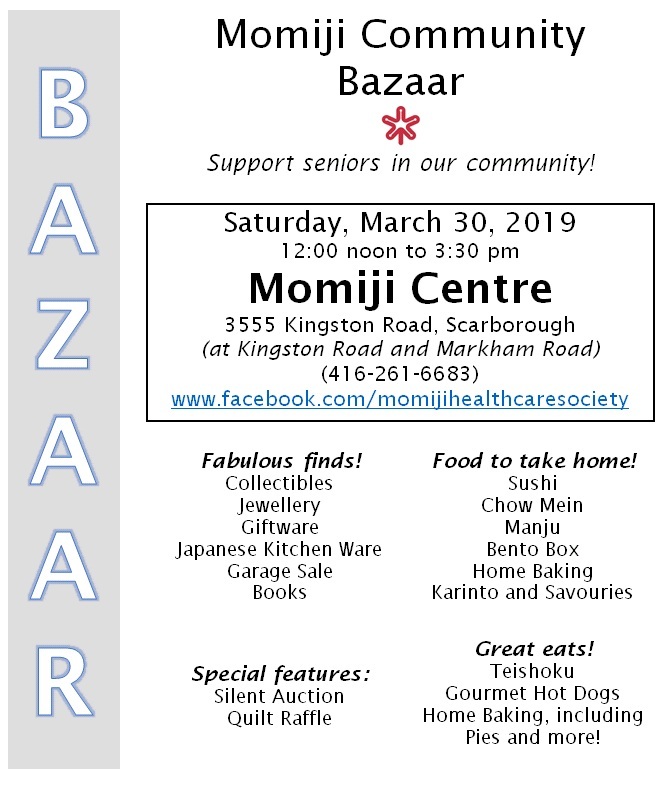 Volunteers are needed leading up to the day of the Bazaar, for sorting donations, for helping to make delicious Japanese cuisine and of course for set-up. Proceeds from the Bazaar are used to support our programs and services. 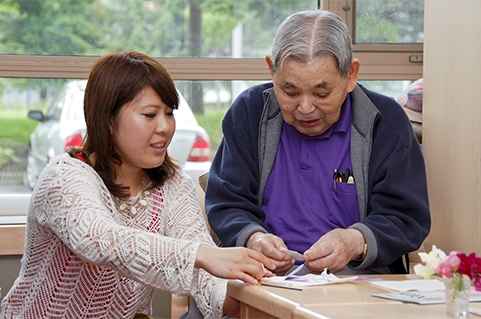 Hundreds of seniors benefit each year from the funds this event generates. For more information, contact Sheri-Lynn at 416-261-6683 x259 or bazaar@momiji.on.ca. Please click here to see the poster.